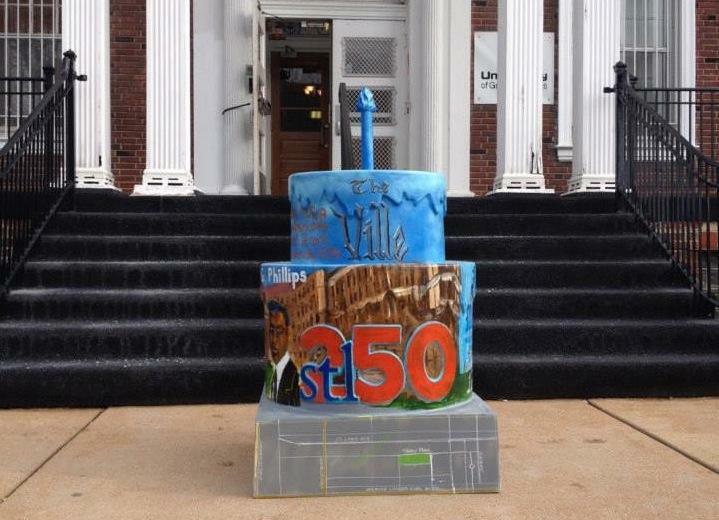 If your area is slated to get one of the celebratory STL250 cakes, but you haven’t seen it yet, never fear. The sweetness is on its way. 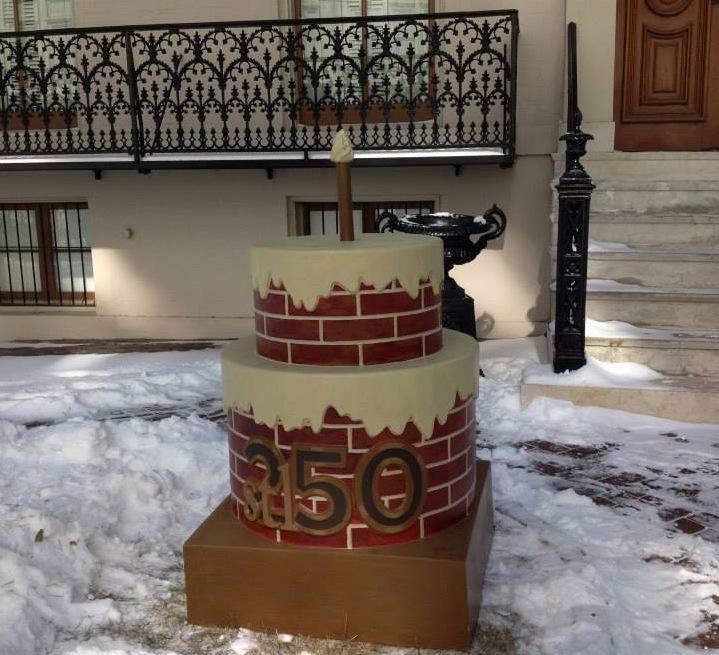 As cake artist (and pastry chef) April Morrison explained, the weather disrupted the cake plans as it did much else this winter. She is finishing her 11th cake and has found the experience to be enlightening. 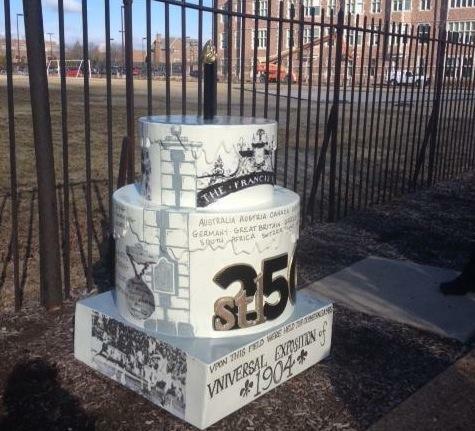 Some of that history is tied to Washington University, where she works with Bon Appetit Management Co. Morrison said the university knew she was on campus and understood it, so it had faith in her. Some of Morrison’s cakes benefited from her pastry chef experience. For those at the Bissell and DeMenil houses, she put caulk in a pastry bag to imitate buttercream frosting. Other artists had their own inspiration. For Mark Swain the project has been a restoration. “I had had a triple bypass,” he said. “After that I had lost all desire to paint.” And this is a person who was doing almost a painting a week. 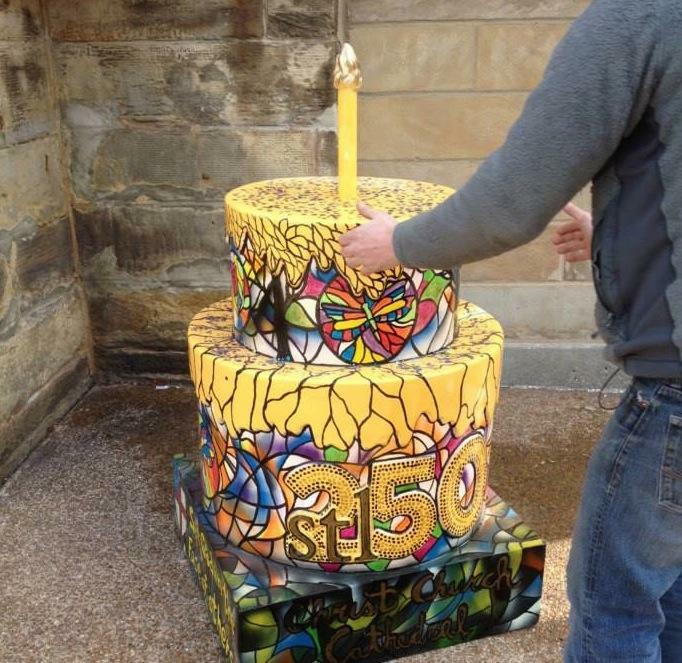 When he learned about the Regional Arts Commission’s call for artists for the Cakeway project, he thought “this could be a really good thing or disaster” because he hadn’t been getting inspiration. 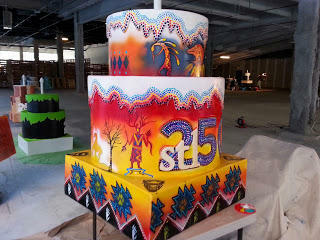 Swain did nine cakes, with the one at Cahokia Mounds holding special meaning for him. 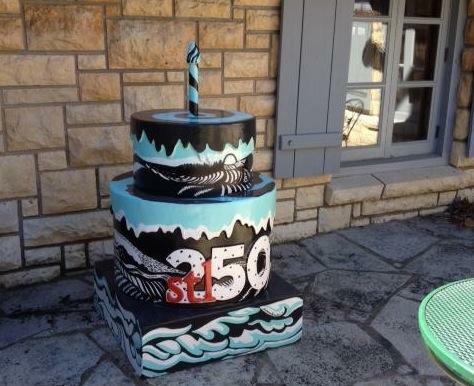 As a member of the AhNiYvWiYa tribe, he wanted that cake to be a tribute to Native Americans. Nelson was able to land one of the cakes that’s likely to get a lot of attention: the Cardinals team cake at Busch Stadium. 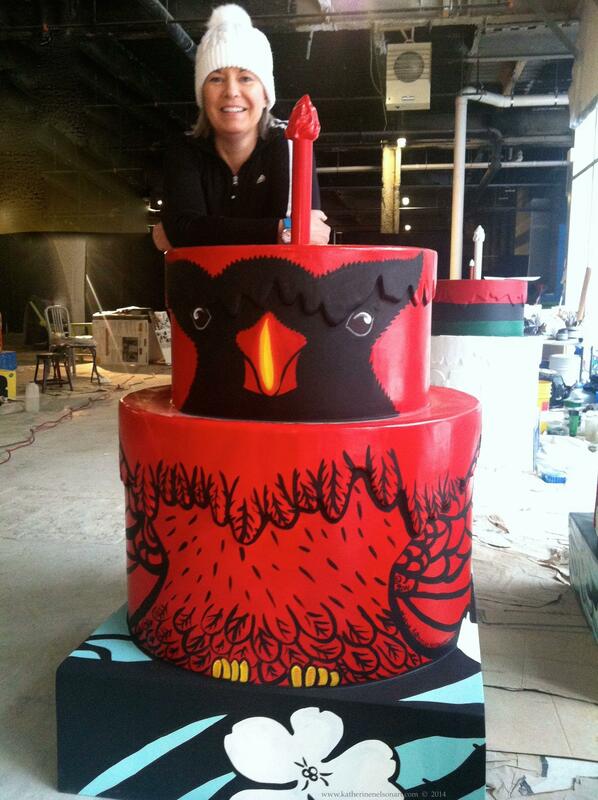 The Cardinals supplied two logos that she enlarged and placed on the front of the bird. 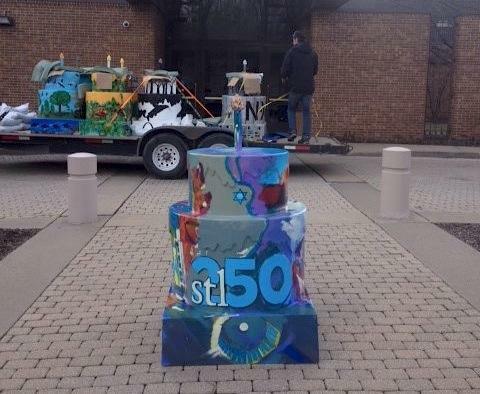 Now that the weather is getting better, STL 250 hopes to have all cakes in place by the end of next week. 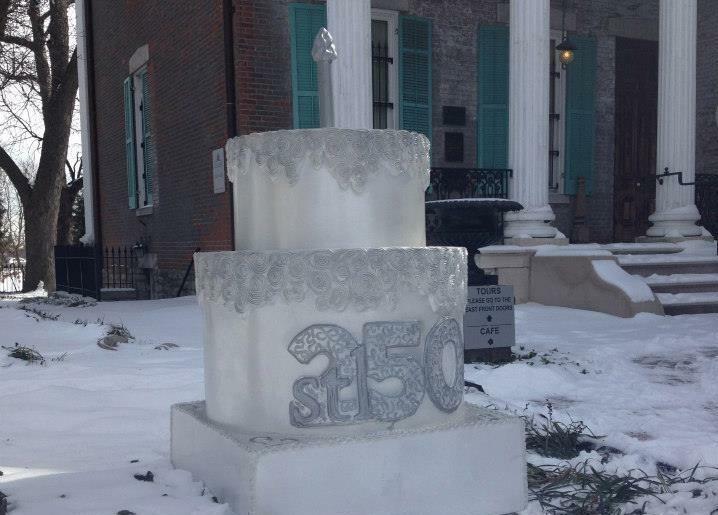 Campbell House cake by Nick Nihira, an assistant professor of art at Jefferson College. In an email, he said that he loves the old bricks that are really a signature of St Louis. He lives in south city and has a brick lined alley. He said those bricks are weathered and worn and you just feel the history behind them. He thought it would be interesting to give a nod to the history of St Louis bricks. They are truly the foundation of the city. Do you have an old family photo that you'd like to recreate? Try it and send the old and new results to us. 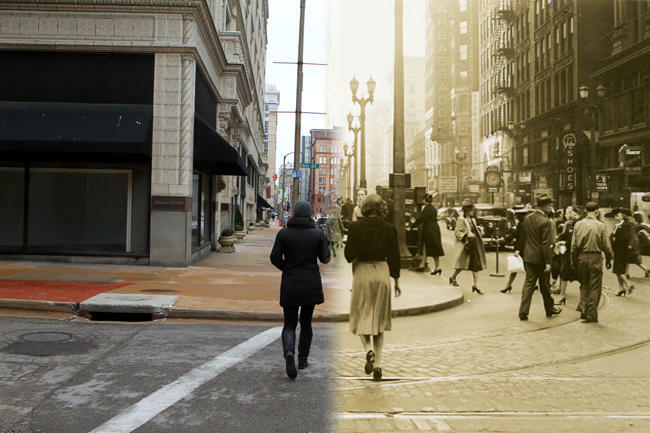 Have you wondered what an area looked like years ago? Maybe the spot was totally different, such as 4th and Market. Maybe it has been lovingly maintained, as in the DeMenil Mansion. 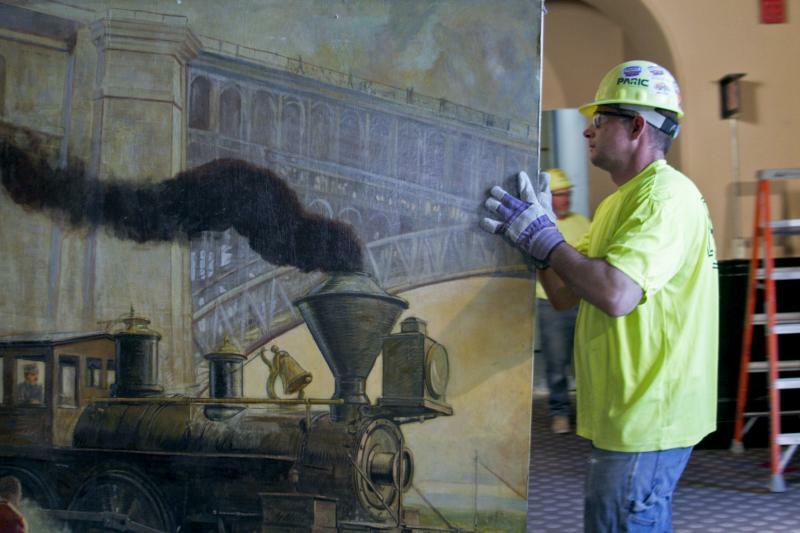 Beginning in 1942 and for around three decades – no one seems to know for sure – a massive mural depicting a flurry of commercial activity along the St. Louis riverfront peered down upon the ticket counter at Union Station.